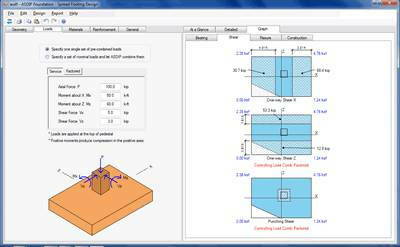 Spread Footings - Design of a concrete spread footing under the action of vertical load, horizontal load and biaxial bending. The module designs the footing per the load combinations of the ASCE 7. Strap Footings - Design of a concrete strap footing under the action of vertical loads, horizontal loads and bending. The module designs the two footings and the strap beam per the load combinations of the ASCE 7. 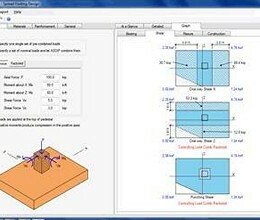 * ASDIP Foundation download link provides demo version of the software. What is the price and how to pay? I really wanted to have this software on my field of duties, I'm contract for building construction, I hope could have this for free. ASDIP Foundation has been rated 3.6 out of 5 points. A total of 8 votes cast and 2 users reviewed the software.